Batman, Bugs Bunny and other assorted characters on heavy duty paper. 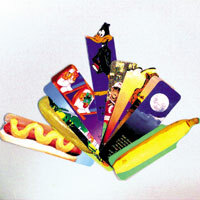 7 1/4 x 2 inch bookmarkers. $1.65 per dozen for 50 dozen or more. $1.50 per dozen for 100 dozen or more.